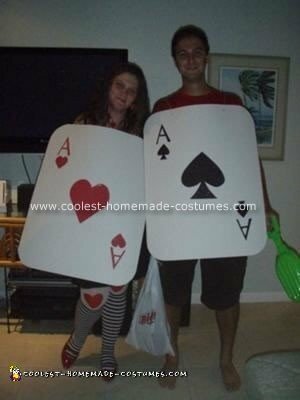 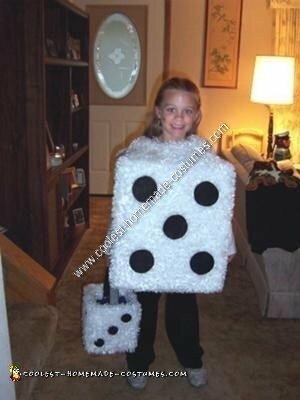 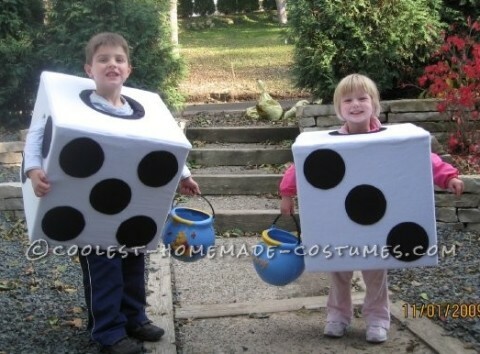 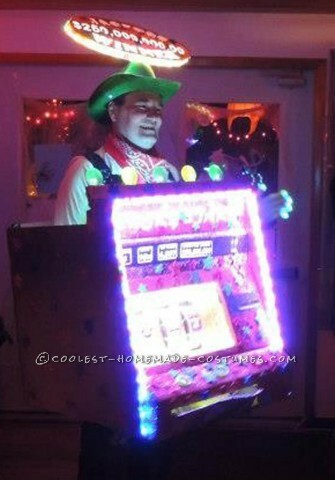 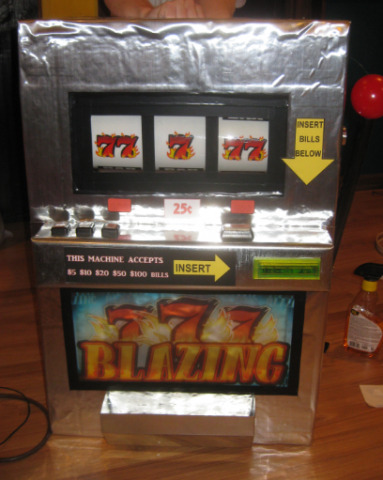 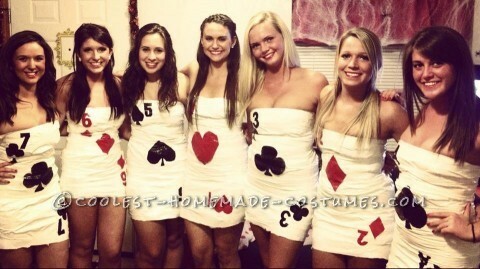 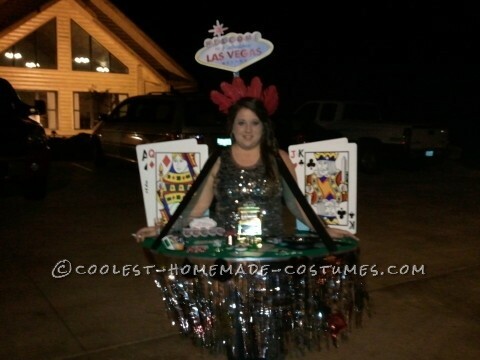 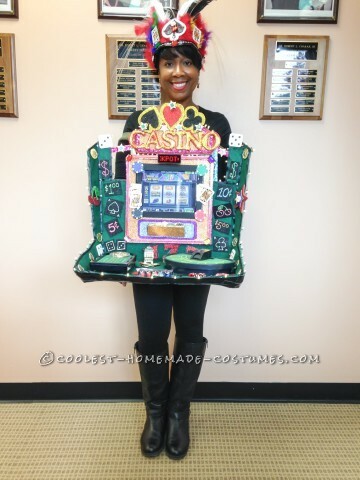 Let luck be your lady with this sensational collection of homemade casino and Vegas costumes. 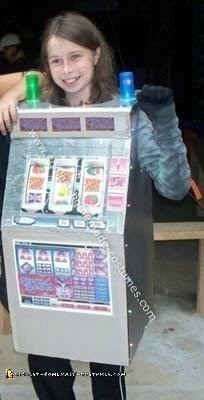 What happens in Vegas, stays in Vegas. 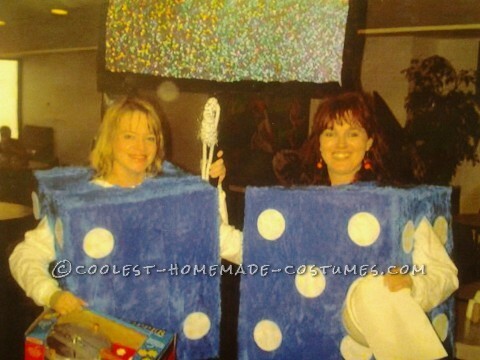 This means that anything goes in this DIY costume category. 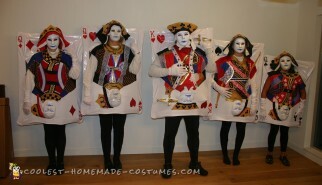 Want to wear a sequined bodice with a plume on your head? 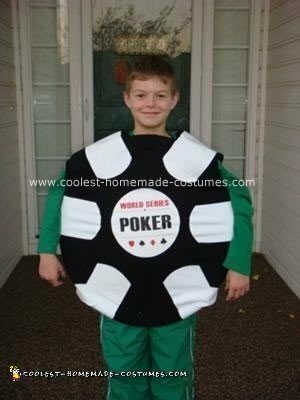 Feel like dressing like a gigantic poker chip? 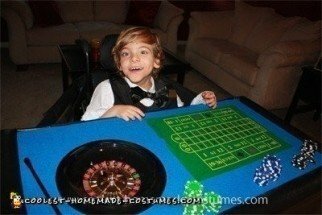 Need to become a black jack dealer? 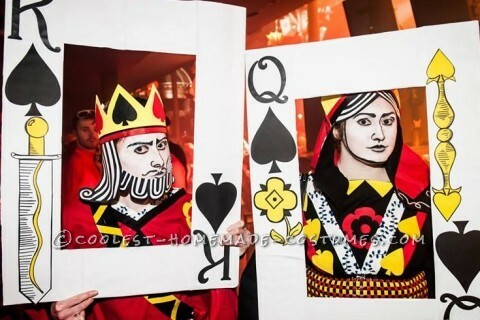 All these spectacular costume ideas – and more – are featured here. 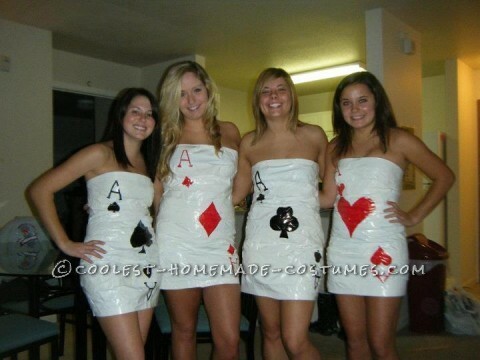 Especially notable are the card costumes made out of garbage bags and duct tape. 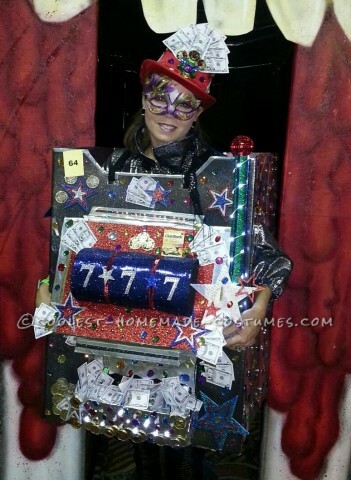 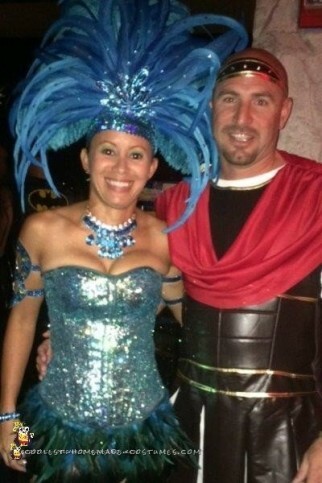 You don’t need to spend a lot to create a show stopping costume. 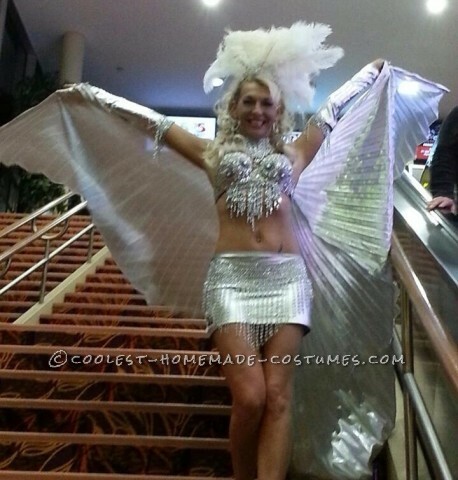 In addition, Vegas performer costumes are not just for adults. 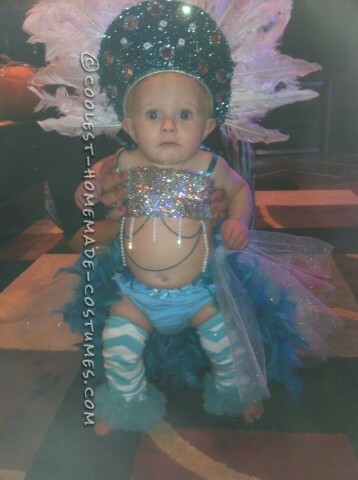 Some creative parents made a hilariously adorable baby showgirl costume! 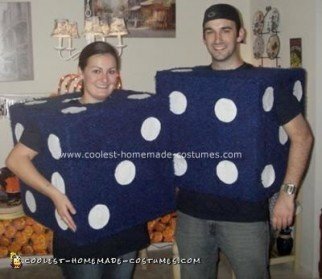 Whether you want to find out the secrets of constructing a slot machine costume or if you would rather transform into a huge pair of die, you must check out the costume designs here.